It’s not a good idea to skimp on homeowners insurance coverage, but you also shouldn’t go into the buying process unprepared. In order to save yourself a lot of complications down the road, it’s a really good idea to examine your policy closely before making any kind of commitment. Becoming better informed starts at home, quite literally in this case. Knowing when your home was built, its actual square footage, its age, and the age of its interior work like plumbing and electrical are all much -needed data which will be used to determine your homeowners insurance quotes. Rates may increase if there’s been a claim filed recently, like in the past five years, or go down depending on the neighborhood. 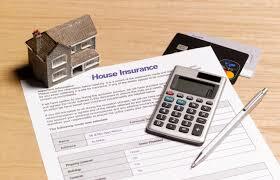 Insurance policies will offer several areas which can be adjusted in order to change your monthly premium. For example, choosing a higher deductible will equate to lower monthly payments. This can be a great solution if you have plenty of saving set aside, but need to control your monthly household budget. Different companies will offer different levels of coverage, so be sure to check around for the deal that’s best for your situation. As part of investigating different policies, you should also ask about available discounts. There are lots of credits available which will save on your monthly payments, such as alarm systems or retirement discounts. Most companies will also offer a discount if you have more than one policy through them, such as both car insurance and your home policy. It may be worth making the switch from separate providers if it helps lower the total cost. Comparison shopping is still the best way to get a great price. Rates among different companies will vary widely, and so will the types of discounts which they have available. You should choose a company which values the same things which are important to you, whether it’s keeping low rates or offering outstanding customer service. Maintaining a foolproof home insurance policy shouldn’t be thought of as just one more expense; after all, you’re protecting the largest investment you’re likely to make in your lifetime.